Peas are the underrated vegetables which grow oh-so easily during the summer. Kids seem to love peas - they're not as scary as a big bowl of spinach. 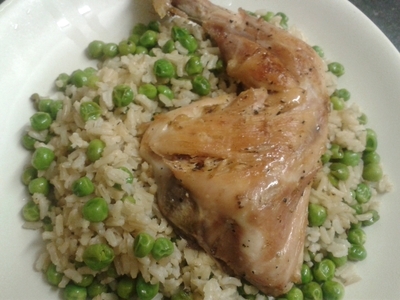 Throw the peas in with favourites like chicken and rice, and you've got a winner. 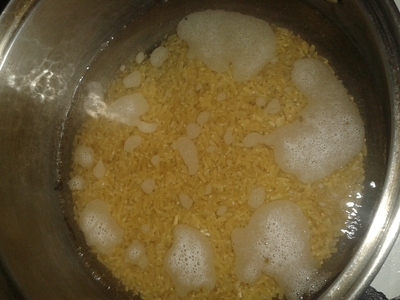 Wash the rice and place in a saucepan of three cups of water. 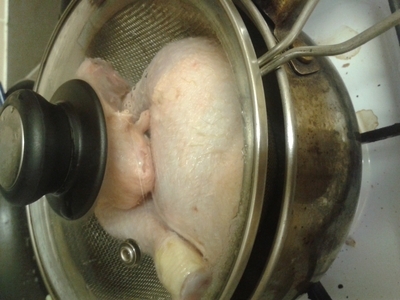 Place the chicken in a sieve on top of the saucepan, cover with a lid and turn to a simmer for 30 minutes. 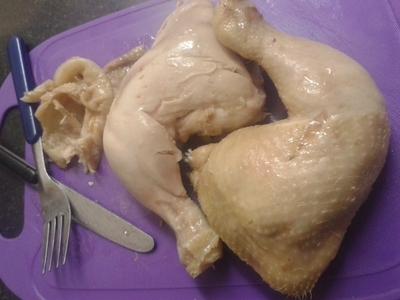 Remove the chicken from the sieve and take off the skin, whilst allowing the rice to still cook over a simmering heat. 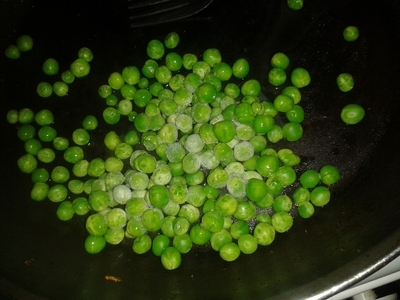 Place the peas in a frying pan. 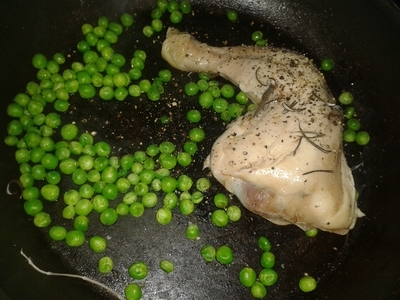 Add the chicken along with the seasoning and cook over a low heat for 10 minutes. 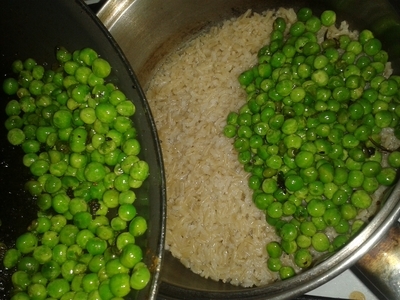 Remove the chicken and add the peas to the cooked rice. Toss together to combine.